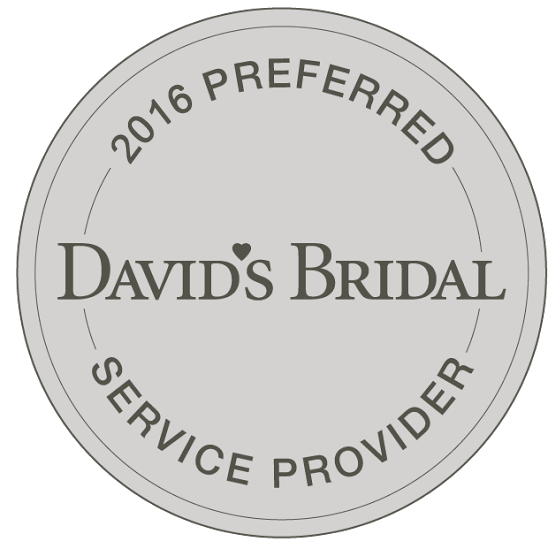 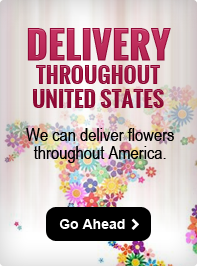 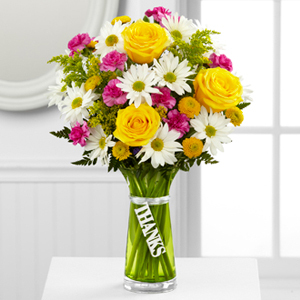 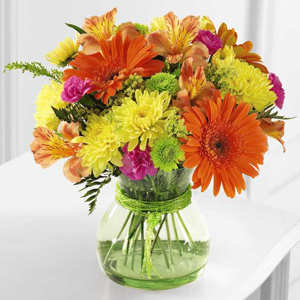 FTD® proudly presents the Better Homes and Gardens® Sunlit Meadows™ Bouquet. 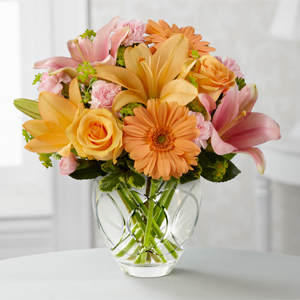 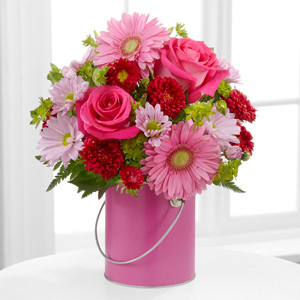 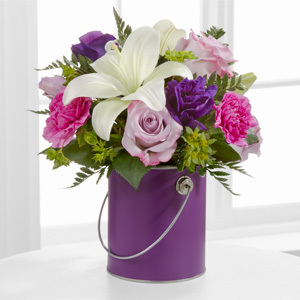 Blossoming with bright beauty and a color palette that exudes charm and cheer at every turn, this bouquet will be that perfect gift for any of life’s special moments. 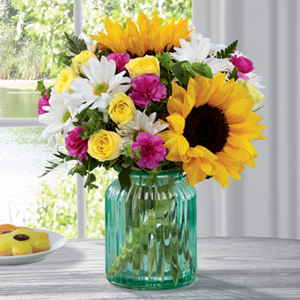 Brilliant sunflowers are simply dazzling settled amongst yellow spray roses, magenta mini carnations, white traditional daisies, and lush greens to create a bouquet that has that “fresh from the garden” look. 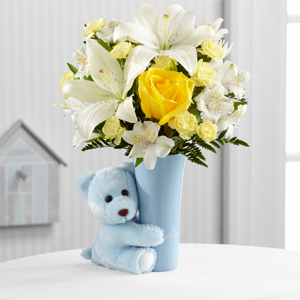 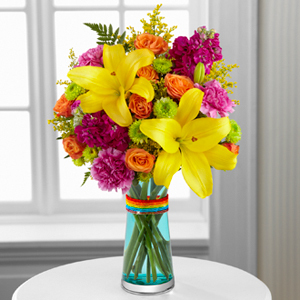 Presented in an aqua blue designer glass vase, this mixed flower bouquet will make an excellent birthday, thank you, or get well gift.